Labour news over the last 24 hours has mainly focussed on the parliamentary pass of Jeremy Corbyn’s private secretary, or lack thereof. The Huffington Post revealed yesterday that the aide has been working in the Labour leader’s office without full security clearance. And if that’s not a Westminster bubble story, I don’t know what is. 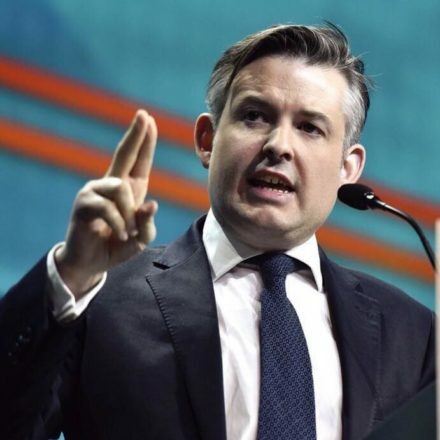 Following Tom Watson’s remarkably personal intervention on Type 2 diabetes, Jon Ashworth will today warn that drug and alcohol addiction services are at “breaking point”. The Shadow Health Secretary shared his own story of growing up with an alcoholic father when he first got the brief in 2016, so this is another big health announcement this week that sees a Labour frontbencher reveal policy with reference to lived experience. In a speech to the National Substance Misuse Conference in Birmingham, Ashworth is expected to say: “My personal commitment and driving mission, as Health Secretary, would be that drug and alcohol addiction services will no longer be a neglected, under resourced service.” According to Public Health England figures, the number of people receiving treatment for alcohol addition is at its lowest level for eight years, yet the alcohol dependent population has increased. This is no coincidence, as austerity has hit these services hard, and Labour says £34m is set to be cut over the next year. This morning Diane Abbott will use a speech on immigration, the third in a series, to outline Labour’s new post-Brexit plans. The Shadow Home Secretary’s proposals are designed to overhaul the unjust and overly complex immigration system that the Tories have refused to abandon even after the Windrush scandal. With an emphasis on fairness and equality, the approach to migration taken by Abbott and her framing of the issue will go some way to rebut claims that Corbynites have adopted Trumpian rhetoric. Corbyn’s Build it in Britain initiative came under fire when some Corbynsceptics accused the leader of “pandering to the anti-immigrant vote”. Abbott’s stance isn’t vulnerable to the same criticism – though giving an approving nod to the argument that EU citizens should not be given preferential treatment could raise a few eyebrows. On LabourList today, we’ve got Shelly Asquith sharing her top highlights from this week’s TUC conference, while Unite’s Peter Hughes explains why they – unlike other trade unions – are supporting a switch to one-member-one-vote for Welsh Labour leadership elections. As Hughes writes: “On Saturday the Labour family in Wales will gather in Cardiff to decide how we elect the leader and deputy leader of Welsh Labour”. That’s an important moment for Corbynites in Wales.